Fiza Pathan was born in Mumbai, India on 19th of March 1989 to Iqbal and Philomena Pathan. She finished her high school education from Bombay Scottish School, a reputed ICSE School in Mumbai. She then attended St Andrews College to pursue her BA degree in History and Sociology and graduated with a first class. She later graduated with a first class from the St Theresa's Institute of Education, Santa Cruz as a teacher her special subjects being History and English. She has taught History and English in Lilavatibai Podar Senior Secondary School (ICSE) to the Senior students. 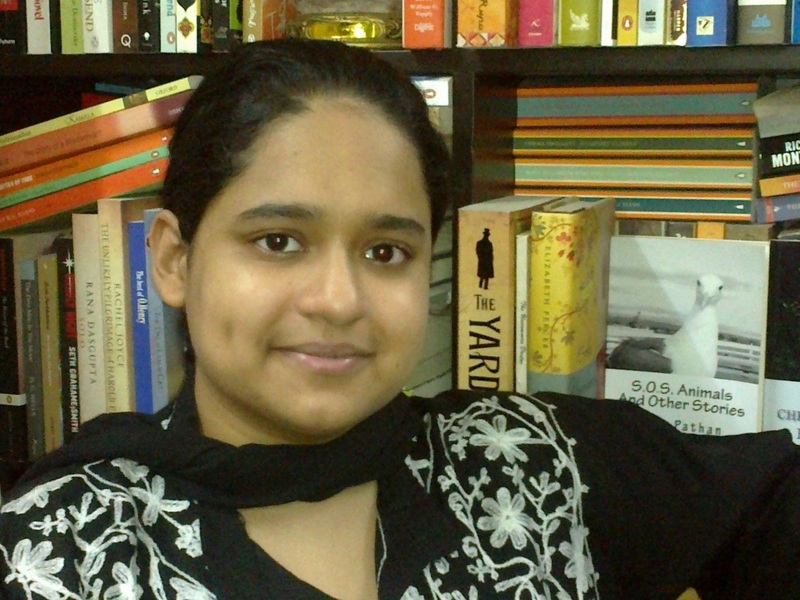 Being literary minded from a young age Fiza participated in and won many competitions at College in essay writing and short stories. She was an active contributor to various Christian magazines like 'The Examiner' and 'Vision and Venture'. She has won many scholarships and awards in College in History and Literature as well as in Hindi, the national language of India. She has not only been the Deanery Youth head of her neighbourhood, Bandra parish but also the Diocesan Youth Female Head for the Archdiocese of Mumbai from 2009 to 2010. She lives with her maternal family and writes novels and short stories which includes almost all genres, Religious writings being her forte. She has been 'adopted' by two stray cats who answer to the names of Lopez and Brownie. for catechesis and moral development. The stories in this book can also be used as a simple read for daily reflections." From then on Fiza did not look back. She followed this with a collection of short stories for Christmas ‘Treasury Of Bizarre Christmas Stories’. Were they different from other Christmas Stories? Yes, they were specifically written to attract those children who preferred horror stories and yet needed to get a dose of value based stories. As the synopsis explains: From creepy dark catacombs to a haunted winter wonderland, this treasury brings with it, a mystical side to Christmas and the birth of a legendary baby. Whether deep in a forest of India or back in time in Bethlehem, 'Treasury Of Bizarre Christmas Stories' brings to its readers the holy, the Almighty, the haunted, the obsession, the innocent, the magical and the reason to celebrate. poetry. She can be followed on Twitter @FizaPathan, and on Goodreads http://www.goodreads.com/author/show/6566200.Fiza_Pathan.